Real Madrid new boss Rafa Benitez to sell Karim Benzema Arsenal have been told that Real Madrid will be selling their French striker Karim Benzema this summer, as per Fichajes.net. Arsenal have been told that Real Madrid will be selling their French striker Karim Benzema this summer, as per Fichajes.net. Real Madrid new manager Rafael Benitez has said to striker Karim Benzema that he has no plans to give him a starting role. Rafael Benitez is planning to use Cristiano Ronaldo as the center forward and moving Gareth Bale to his favourite left side role. Benzema has already been targeted by Liverpool, Manchester United and Arsenal and now it seems that Arsene Wenger will win the race. 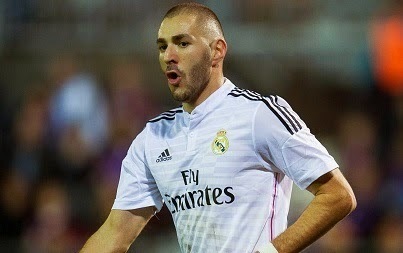 The Gunners boss has tried to sign him in the past, he has been a huge admirer of Benzema. The 27-year-old is currently at the peak of his career and he will surely be eyeing regular football. Ligue One side Paris Saint Germain are also planning to offer him as Edinson Cavani is expected to leave this summer. Benzema scored 15 goals and assisted 10 times in 28 La Liga games in the recent season. Meanwhile, Eurosport reported earlier today that Manchester Untied are in contact with the player’s agent. Man Untied who yesterday agreed a deal to sell their striker Robin van Persie to Lazio will be short of strikers. A deal around 10 million pounds has been agreed for the Dutchman, Read Full Story.